With one of the longest navigable inland waterways, Alabama has lots of beautiful sites located near the water where you can enjoy various activities such as sailing and fishing. Alabama is also called the Yellowhammer State, and it got this name after a bird which is considered the bird of the state. It is also known as the Heart of Dixie, the heart of the southern regions. The Muskogean-speaking tribe was living along the Alabama River, and the state was named after them. Till these days many places keep names that have a Native American origin…. You can enjoy your meals even during rain at the screened pavilion with a kitchen at Mill Creek RV Park. The park is also known for its scenic beauty and wildlife. There are more than on hundred types of birds in this area, and just as many wildflowers to explore. Some of the birds that you can see here all year long are the killdeer, the eastern bluebirds, mockingbirds, red-tail hawks and turkey vultures. You can also enjoy scenic walks around the area of rock bottom creek and even look around the sights of the historic railroad walking trail. Mill Creek Park is a comfortable place to rest while you are on the road. You can take care of sewage here and get fresh water, and there is enough space to set up your awning. You will also have access to WiFi here. Satellite hook-up is also an option. This modern campground has 10 camping sites. One of the greatest attractions around is the Choctaw National Wildlife Refuge where you can go hunting if you have a license. Moreover, if you like the outdoors, you will love this: there are four mineral springs around the area that you can enjoy. Their benefits are known well in the area, and they contain sulfur, iron, magnesium, and calcium. Each of the sites at Bladon Springs State Park has electricity, water and sewage, a grill and picnic table. However, there are only restrooms, no showers. It is also possible to rent a pavilion here. 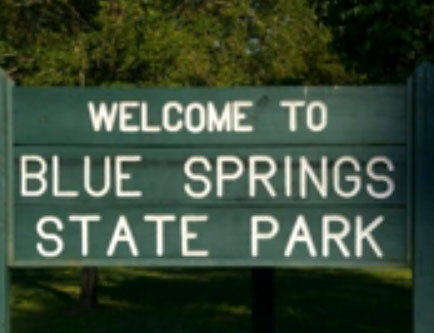 They have water hookups for each site at the Blue Springs Camping Park, and they have both modern and rustic camping sites available. In the park area you can have free access to wireless internet. Not all campsites have sewer hookups, so check if there are any available before you go to this place. nd well-kept grounds, you will like this park. The Magnolia Branch Wildlife Reserve is known for its beautiful surroundings, but it is also famous for being only a few minutes away from the Wind Creek Casino. You can enjoy the silence and the peaceful serenity of forests and lakes, and also visit the casino if you feel like partying with your friends or going to a concert. Here you can not only enjoy a comfortable camping space, but also do some fishing, horseback riding and use the bicycle trails, do some kayaking and canoeing, hiking and even use the volleyball court. Since it has a playground, it is ideal for families. It has full hookups and a laundry room as well. Tent camping is also possible at the Magnolia Branch Wildlife Reserve . The Bear Creek Lakes has 5 campgrounds and 160 camping sites, so if you like to have more silence and less people, this is ideal for the summer. 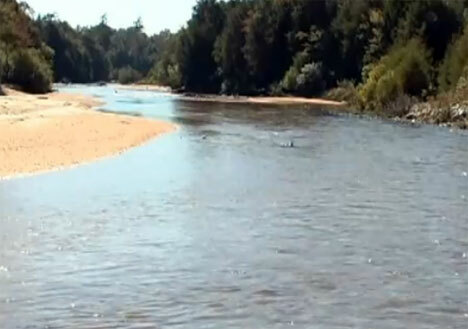 It has a bathhouse and swimming area with some of the cleanest waters in Alabama. All the camps are family oriented, with minimal traffic, and cabins available for rent. This lake retreat has many lakes with fish such as bass and crappie. This state park has a variety of options from lodges, cabins, and cottages as well as RV and primitive camping spots. There are a ton of activities to choose from such as nature trails, boat, kayak, and paddleboard rentals, as well as fishing. This 357 acre park is home to ten campsites that include electrical hook ups, places for primitive camping, as well as rentable pavilions. It is also located next to the Choctaw National Wildlife Refuge which is open to licensed hunters during hunting season. This family friendly park also offers a playground, picnic areas, as well as birding trails. This modern state park offers a variety of lodgings from campgrounds, cabins, and cottages. Enjoy the 6,150 acres of pristine white sandy beaches. Also enjoy fishing off one of the largest fishing piers in the Gulf of Mexico. This camp ground is perfect for a winter beach getaway. Camping is a lot of fun and many families share in this adventure with friends and other family members. A directory of campgrounds: tent and RV trailer camping parks Alabama (AL) might be frustrating if you do not look in the right places. If you are looking for a beach camp to park your motorhome trailer or a pop up camper, you might look for campgrounds located near water. A recreational vehicle is meant for traveling, so having a list of some exciting campgrounds to visit comes in handy. Many campgrounds welcome a motor home, pop up camper and a mobile home that remains all year long. Mobile home occupants usually watch over the campgrounds and help to keep them clean and nice for fellow campers. Most of the directory of campgrounds: tent and RV trailer camping parks Alabama (AL) have available camping all year long, unless it happens to fall on certain days, such as Memorial Day weekend, when everyone starts the season of camping.